In the days following Hurricane Maria, first responders from different departments answered Puerto Rico’s call for help. Many first Responders from the mainland U.S. flew to Puerto Rico without hesitation to help Puerto Rican authorities assist the island’s residents during their dire time of need. 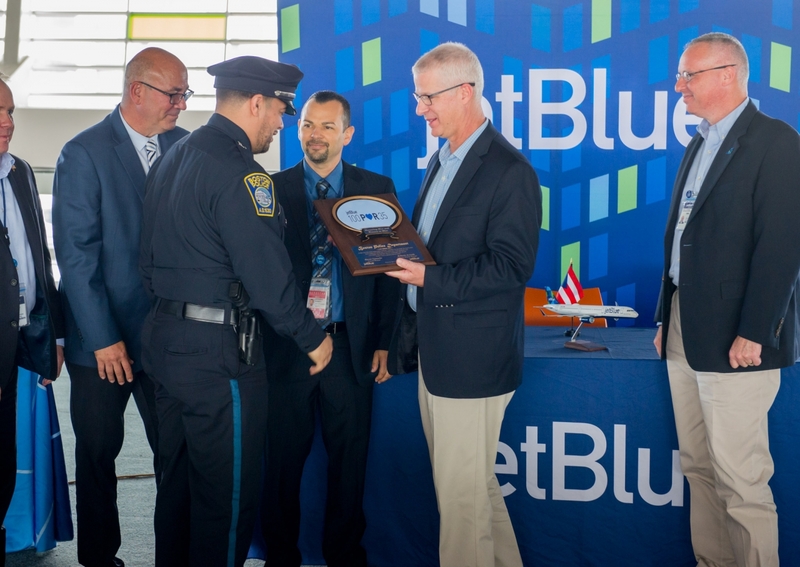 As Puerto Rico’s largest airline, JetBlue was honored to express our gratitude. 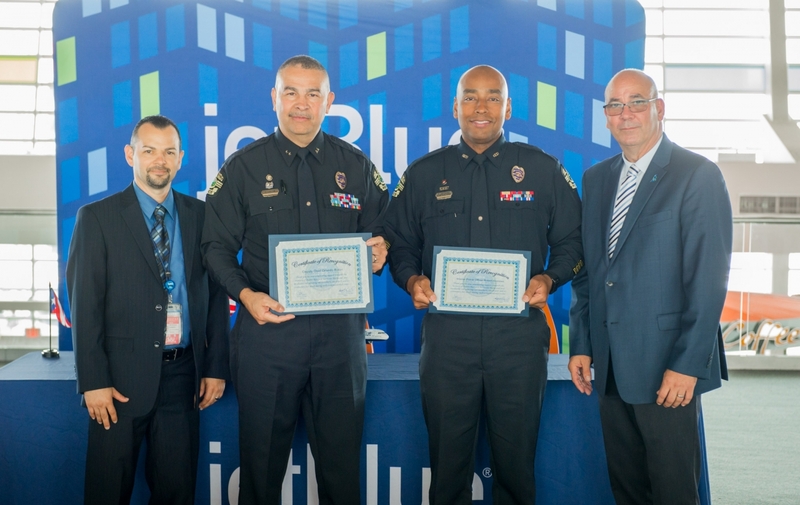 Last week, JetBlue joined our business partners at Luis Muñoz Marín International Airport and Aerostar to hold a ceremony in appreciation of these first responders, both from mainland US and from Puerto Rico. 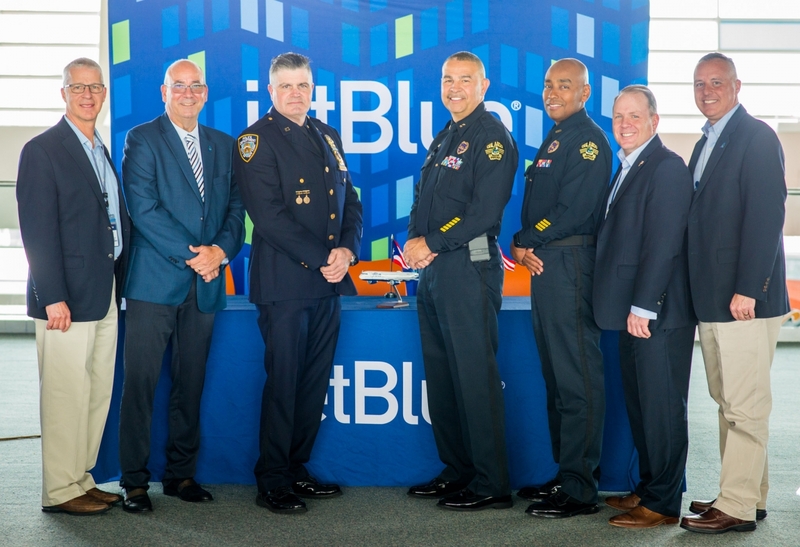 JetBlue honored the NYPD, Port Authority of New York and New Jersey, Massachusetts State Police, Boston Police and Orlando Police. We also be recognized PRPD, K-9 Units, and Aerostar for their service and assistance. After hurricane Maria devastated Puerto Rico last year, JetBlue made a commitment to assist in the island’s rebuilding and recovery efforts with its 100x35JetBlue initiative. Puerto Rico is home to nearly 500 JetBlue crewmembers who support the airline’s operations in its focus city of San Juan, as well as in Aguadilla and Ponce. The 100x35JetBlue recovery initiative launched shortly after Hurricane Maria struck Puerto Rico in September 2017. A nod to the island’s dimensions, 100x35JetBlue outlined 100 days and 35 ways – and beyond – of caring for Puerto Rico and the Caribbean.